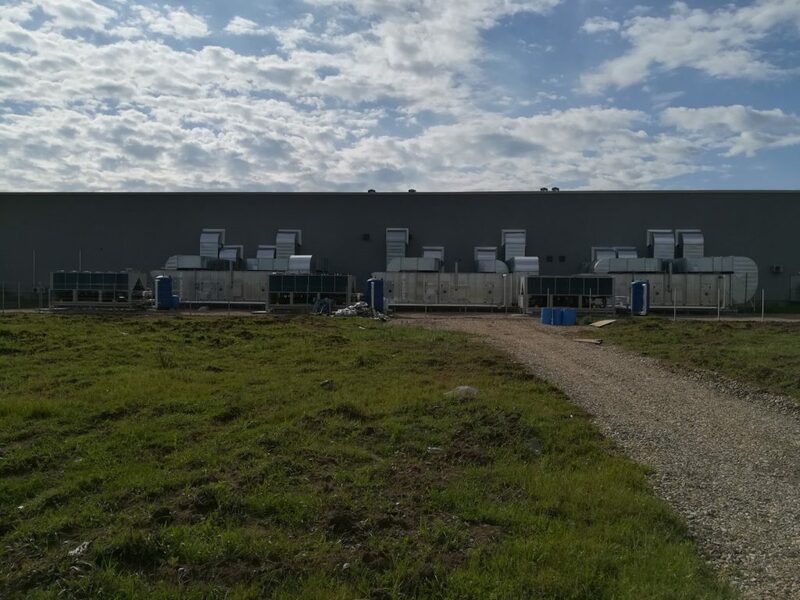 The Romanian factory of NIDEC, manufacturer of precision engines, has recently been equipped with no less than six Mark AHU 35-35 air handling units. The units each have an air flow of 40,000 m3 / h and provide the 26,000 m2 property with the right temperature and air humidity through heating, cooling, humidification and ventilation. For heating, each AHU is equipped with a high efficiency gas-fired condensing and modulating heating module. It has a capacity of 150 kW and is used as an after-heater. The Mark air handling units are made of double-walled insulated seawater resistant aluminum panels with a low weight and a long service life as standard. 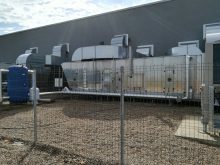 Process exhaust system for Purall in Eindhoven (the Netherlands).